The UK national exploitation event was organized by CHC and Brunel University on Tuesday 29th March in Birmingham. The event was undertaken within a Public Service Event: “Co-ordinated Care: Meeting the Needs of Patients, Driving Better Integration”. 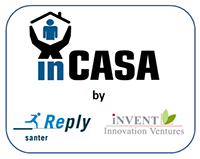 The event was chosen as a place to present the inCASA project as it was specifically focused on showcasing real life examples, initiatives and best practice case studies in order for delegates to explore how to turn the integration rhetoric into a reality. A Master class was organised by Chorleywood Health Centre and Brunel University to present and discuss inCASA, the integration of organisations and the impact on patient care. In addition, there was also an exhibition where SME’s, charities and other commercial organisations including inCASA were able to demonstrate software and technology.